Happy new year's eve, my friends! I am quite excited to share a poem I wrote for you. I got the idea from my friend Denise over at FitPsychology, who did a Facebook shout out in story form, and I thought a poem would be an awesome way to end out the year and share with you some of the blogs that I love. If you click on the links within the poem, it will bring you to the blogs with that name. 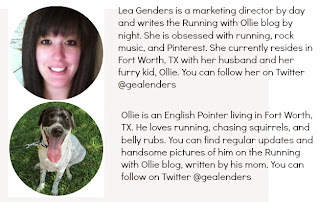 I'd love it if you would check out some of my blogger and running friends. And all through the streets. Are you tri-ing to be athletic? He said, "Too cute runner! I didn’t mean to offend! After all, I’m full grown! I heard, "Run faster Mommy." He was a runner unleashed. Is all that we’ll need! Happy new year! I hope you liked my poem and will take a few minutes and check out these great blogs. See you in 2014! What a fun idea! I wish everyone would write one. 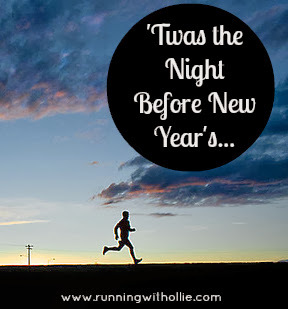 It would turn some runners into poets, too! OMG! This is AWESOME! Thanks for the shout out. :-) There are a few here that I'm not familiar with, so I'll definitely be checking them out. This way to cute!! I love this. So creative and fun!! Definitely a keeper!! So fun and I appreciate the shout out too! So clever and FUN to read! Happy New Year! Really fun idea! Great blog!!! Brilliant post!! Great way to ring in the New Year. Thanks for the shout out!! So creative! Excited to check out the blogs. I love your poem, Lea! You're very creative! Happy New Year to you! Love this!! I write poetry and have been missing it since I haven't written any poems lately. I may give a go at doing one like this too! Thanks for sharing!! Fabulous idea!! !